A brief history of the Southwest Texas Popular/American Culture Association. 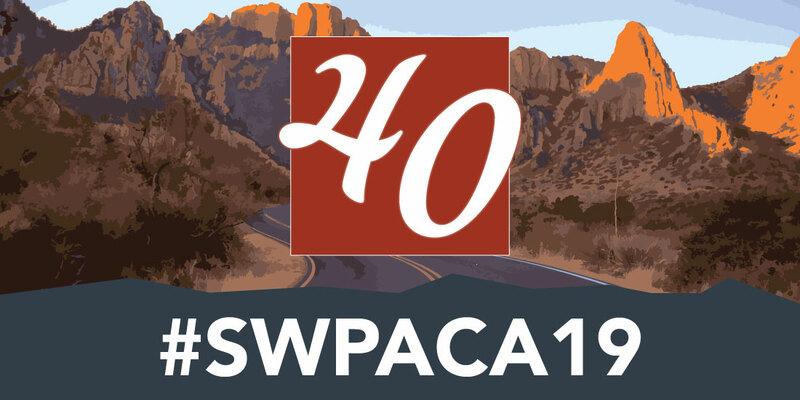 In many ways, the Southwest Popular/American Culture Association (SWPACA) has grown to become the successful group it is today due to a grassroots movement of scholars pioneering new forums for the interdisciplinary study of popular and American culture. The purpose of this page is to provide a “snapshot” of the dedicated people who have led the organization over the years and a sense of some of the issues that have captured participants’ attention. From 1987 to 2003 the associations compiled the Proceedings of its annual meeting. We advertised the collection to the membership and left a master copy at the Cowboy Copy Center in Stillwater, Oklahoma (home of Oklahoma State University); a copy was also placed in the collection of the Edmon Low Library at OSU for record purposes. As a capstone of this process, Peter Rollins, Darin Cozzens, and Reed Harp assembled a collection of papers from the Proceedings pool into a special issue of the Journal of American Culture 14 (1991).